Rod is a full equity member and is fully insured. "Rod stevens was absolutely brilliant! The audience thouroughly enjoyed the show. His speed hypnosis was miraculous, had people in a trance in about one and a half minutes! I couldn't believe it! Anyone scared of hiring a hypnotist, don't be! It's good clean fun, one of the funniest things I've ever seen! We'll definately be doing it again." ...Andy Webster, Penrith Conservative Club.
" 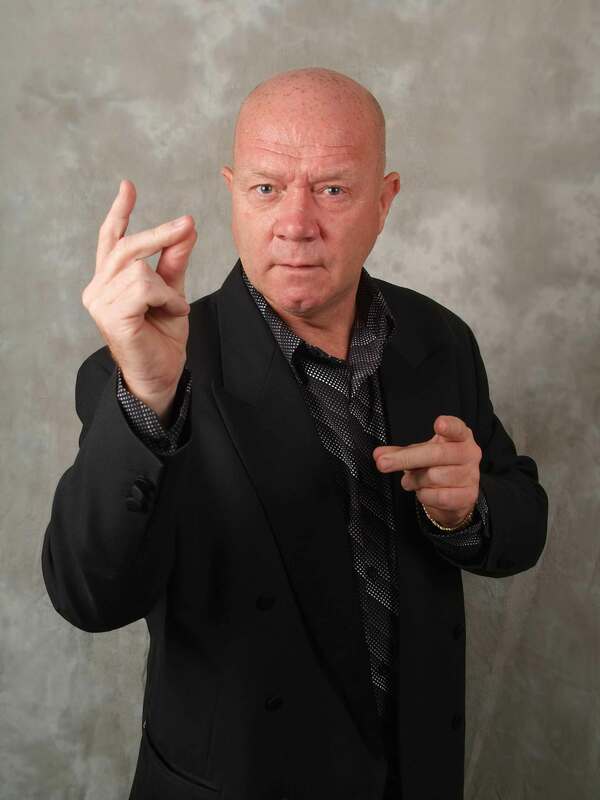 We have booked Rod for the last 10 years, Rod is without doubt the fastest hypnotist We have ever seen. 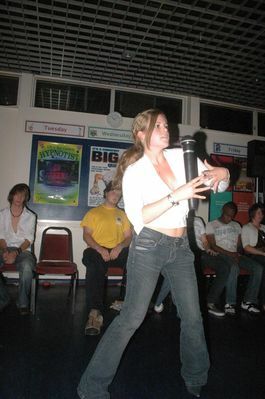 With 1200 freshers in the audience every year at the Tal y Bont campus show."Brilliant"." .... John O'Conor ents. manager Cardiff University. "... For the last 8 years the hightlight of freshers week at Churchill Hall Bristol, has been the Rod Stevens hypno night, great humour and great fun. The crowd absolutely loved it, even as much as those taking part. A fabulous night every time around".... Niall Mccann ents rep Bristol Uni. "... I have booked Rod for our corporate functions on a regular basis. The show is absolutely outstanding, very funny and what I liked about the show is that it was clean, and is still talked about to this day amongst our work force. Without doubt this show is the best value for money I have ever spent on corporate entertainment".... Gail Munro, Halifax, Bank of Scotland. "...I heard about Rod through New Zealand Celtic Supporters Club, the reports I heared were "fantastic". 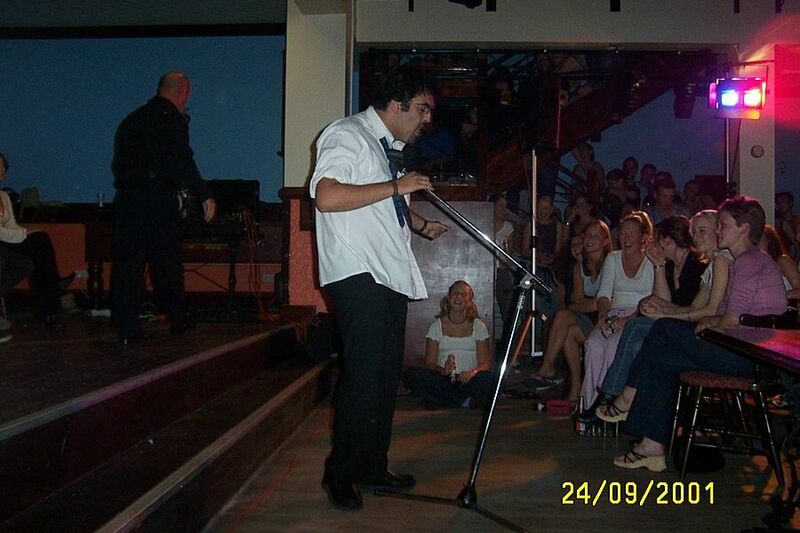 I organised a show for The West Auckland Police Club, as Rod was on tour here, it sold out quickly. I have never witnessed a better night of spontaneous fun in my life, people who I would describe normally as reserved, doing the craziest things. Rod is still the talk of the precinct to this day, and we will be booking Rod again on his next tour of New Zealand. I would recomend this action packed show to anybody.".... Martin Folan. New Zealand Police. "...I have been booking Rod for over 20 years his show is the best around. Rod is a true professional and totally reliable, and you are always guaranteed a great nights entertainment".... Alan Phillips, Phillips Entertainments, Llanelli.